Jonesboro Middle School » Departments » Counselors' Corner » Why Middle School Counselors? Middle school students are characterized by rapid physical growth, curiosity about their world and an emerging self-identity. Through a comprehensive developmental school counseling program, counselors work as a team member with school staff, parents and the community to create a caring, supportive climate and atmosphere whereby young adolescents can achieve academic success. Middle school counselors enhance the learning process and promote academic achievement. School counseling programs are essential for students to achieve optimal personal growth, acquire positive social skills and values, set appropriate career goals and realize full academic potential to become productive, contributing members of the world community. 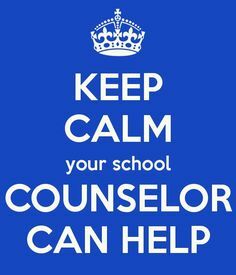 The professional middle school counselor holds a master’s degree and required state certification in school counseling. Maintaining certification includes on-going professional development to stay current with education reform and challenges facing today’s students. "I had an argument with my best friend and she doesn't want to be my friend anymore." "Some kids in my science class are talking about fighting after school." "My parents argue all the time and I don't know what to do." "My grandfather is really sick and I'm scared he's going to die." "My mom just had a baby and she doesn't have time for me anymore." "My dad wants me to be an engineer like him, but I want to be a pilot." "This is John's third school this year, and he's having difficulty adjusting." "My husband is being deployed in two weeks and Carolyn may need some help coping with this change." "Sam used to be excited about school, but lately he doesn't seem to care." "My wife and I recently separated and our daughter could use some help understanding this." "My son seems to be the target of some teasing and bullying after school. Can you help?"